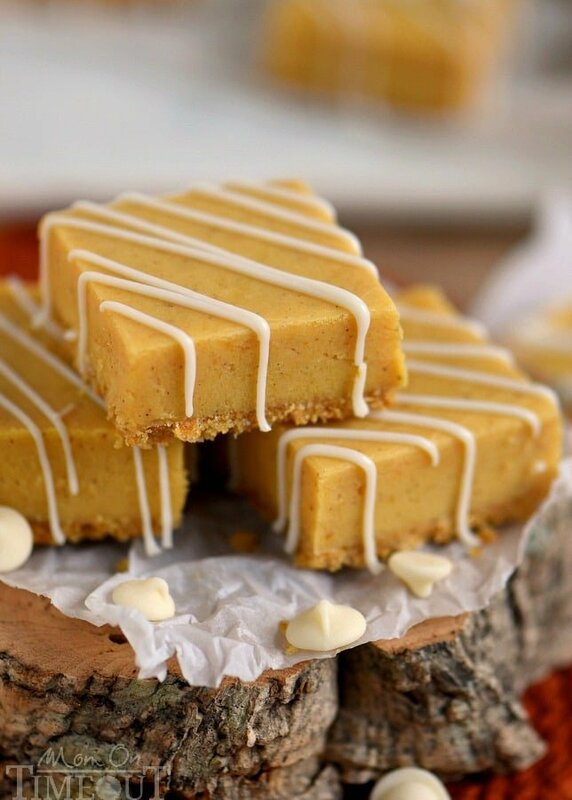 White Chocolate Pumpkin Pie Spice Fudge – made with real pumpkin, a graham cracker crust, and is topped with a white chocolate drizzle – perfection! 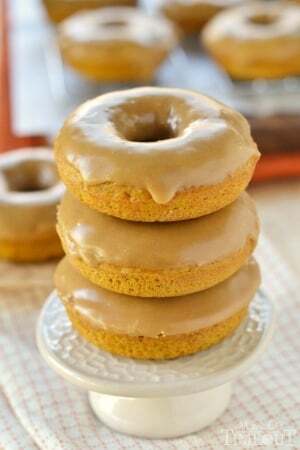 Be sure to make a batch for friends and family this year! I’ve always been WAY into fudge. I’m completely convinced that it’s decadence should be enjoyed year-round – not just during the holidays. Of course, that being said, I kinda go wild with it during baking season and enjoy handing it around to friends and family like it’s candy. Cause it is. And everybody could use a little more fudge in their life, amiright? Chocolate drizzles make everything better somehow. I don’t know why but that’s just a fact of life and we need to accept it. 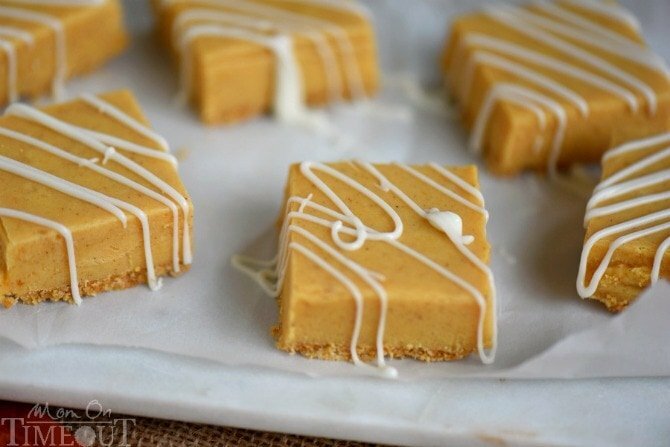 So pumpkin fudge is something of a trickster. 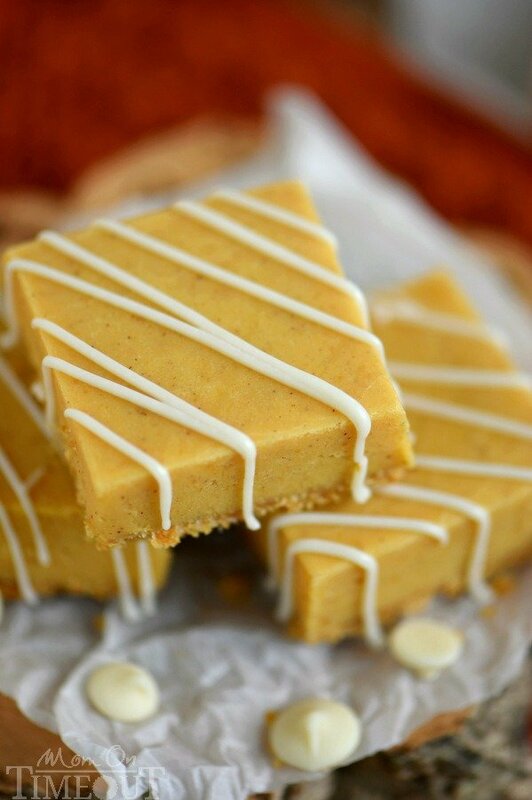 I like to use actual pumpkin puree in my fudge – not just pumpkin pie spice – to give it a true pumpkin flavor. That can be tricky because pumpkin has a whole heck of a lot of moisture in that wreaks havoc on the setting up process. The other issue is that I know you guys like your “easy fudge” recipes and many of you don’t own a candy thermometer. I totally get it although I think a candy thermometer is one tool EVERYBODY needs. Candy thermometer = more candy = awesomeness. So, I kept this recipe really simple and added in an extra step to keep the consistency of this fudge spot on. 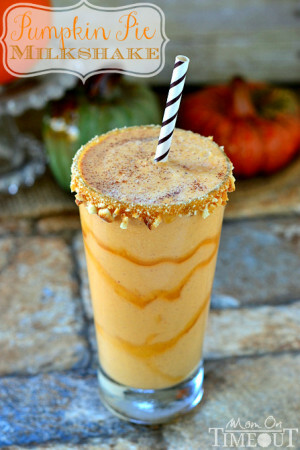 All you need to do is cook the pumpkin and the sweetened condensed milk for about 10 minutes to get rid of as much moisture from the pumpkin as possible. It’s super easy and totally necessary – DO NOT skip this step! 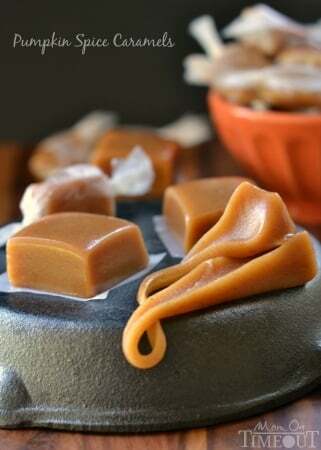 Fudge is one of my favorite treats to make during the holiday season – what’s yours? 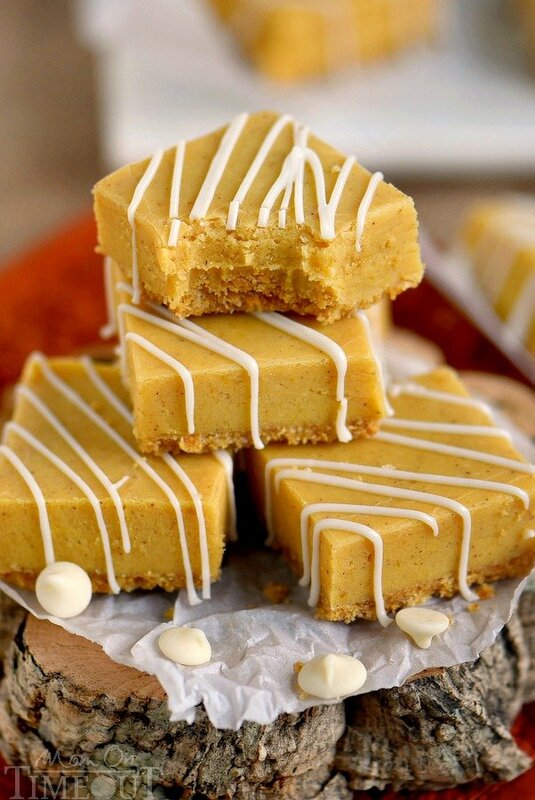 This delightful White Chocolate Pumpkin Pie Spice Fudge is made with real pumpkin! 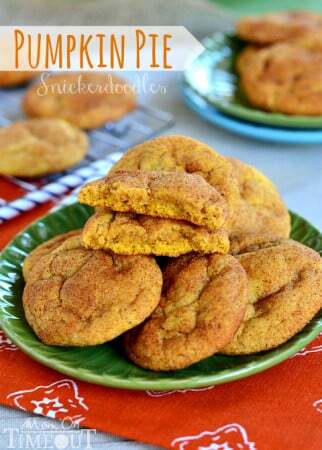 Be sure to make a batch for friends and family this year! Spray an 8-inch or 9-inch square pan with cooking spray and line with foil. 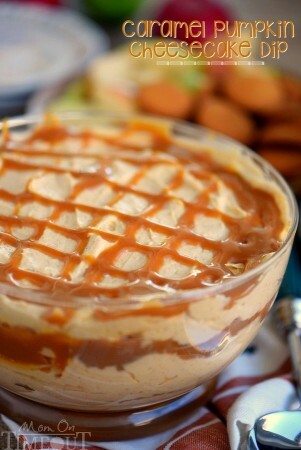 Combine graham cracker crumbs, butter, and sugar in a small bowl and stir until combined. Refrigerate crust while preparing fudge. 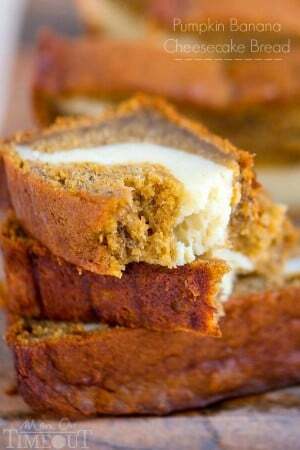 Combine the sweetened condensed milk and pumpkin in a heavy bottomed pot. Cook over low heat for 10 minutes, stirring almost continuously. Stir in the white chocolate chips. Continue cooking over low heat, stirring frequently, until the chocolate has melted. Stir in the pumpkin pie spice and cook an additional five minutes, stirring frequently. Pour into prepared pan and refrigerate for at least four hours before cutting into squares and serving. If you want to add the chocolate drizzle, melt white chocolate chips and shortening together and drizzle over the top of the cut pieces of fudge. You recommend a “candy Thermometer” no where in your recipe makes reference of using it. I was prepared to buy one but what am I using it to do? Also, it says it serves 64. Out of an 8×8 square inch pan? 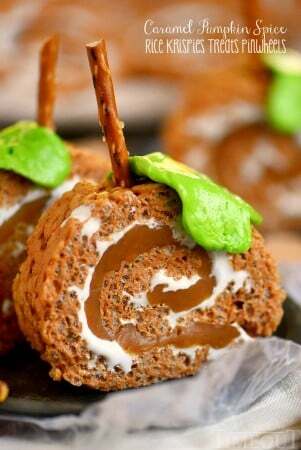 I want to make this as 1 of 3 desserts for an engagement party and I want it to be perfect. Am I blind or somehow miss what size can of sweetened condensed milk I need? ?